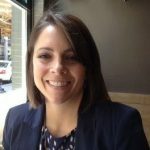 Global research agency GMO Research has hired Christa Arite as Director of Operations and she will be part of the US team. She has recently moved back to her hometown of Cleveland, Ohio from Chicago, Illinois where she had lived for the past 11 years. She has 15 years of Project and Operations Management experience in the technology, marketing, ecommerce and healthcare industries. Before joining GMO, Christa was VP/Director, Project Management for Digitas, a digital marketing agency which is part of the Publicis Groupe network. She led a team of project managers delivering various digital marketing and advertising projects for some of Digitas’ largest clients; Fortune 200 and Fortune 500 companies such as: Whirlpool Corporation, Sprint and BP. Prior to Digitas, Christa worked at Sears Holdings Corporation and managed extensive ecommerce projects for Sears.com and Kmart.com. Christa is passionate about the latest trends in Project Management, Change Management and Facilitation; and is confident she can bring some great techniques to GMO and their clients. Christa joined the Market Research industry to gain a broader understanding of consumer insights and how they stream together to impact positive customer experience. For many years, she had been on the receiving end of customer data, but she looks forward to experiencing the process from the beginning. GMO provided an excellent opportunity to continue to build and service the US client base. In addition, Christa has a true respect for the Japanese way of life. While in college, she was fortunate to study Japanese language and culture and spent a wonderful summer in Japan. She’s very excited to have the chance to work for GMO and experience this wonderful country once again. In her free time, Christa enjoys the outdoors: biking, running and walking her dog. She also loves spending time with her husband and two children exploring her new city.